Although there are some different styles on the market, and different manufacturers may use different names, the basic process that all water softeners use is the same. Hard water, usually from the mains, is passed over resin beads. These beads remove the magnesium and calcium from the hard water and replace them with harmless sodium in a process called ion exchange. The beads do need to be recharged once their effectiveness has depleted. A water softener salt solution is passed through the beads. Flushing the beads in this way removes the hard minerals and allows them to pass harmlessly away. The water softener will go through the recharging or regeneration process on a regular basis, and some models learn how often they need to regenerate. As well as softeners powered by electric, there are also mechanical models that do not draw any extra power. For example, Kinetico softeners use the kinetic energy generated when water passes through the system. 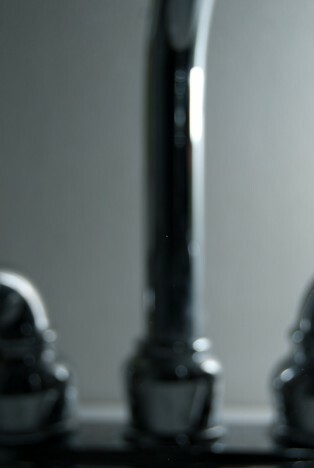 The softener does not have to be connected to the mains supply, and you won’t have to pay for extra power simply to enjoy better tasting drinking water. A domestic water softener is most commonly installed under the kitchen sink, but with professional water softener installation, you can have one fitted wherever it is required. The softener needs to be fitted as close to where the mains water first enters the house as possible, allowing the softened water to feed all of your sinks, baths, and even your appliances and fixtures. Water softening is not only beneficial for creating better tasting and healthier drinking water, but can also prevent the build-up of scale in appliances like washing machines and dishwashers. West of England Water Softeners is an official supplier of Kinetico softeners. Not only do we supply them, but we can also advise on the best position to install them, and you can enjoy peace of mind by having your new water softener fitted by our professional installation service.